Main Event is Your Graduation Party Venue Destination! It’s time to celebrate! 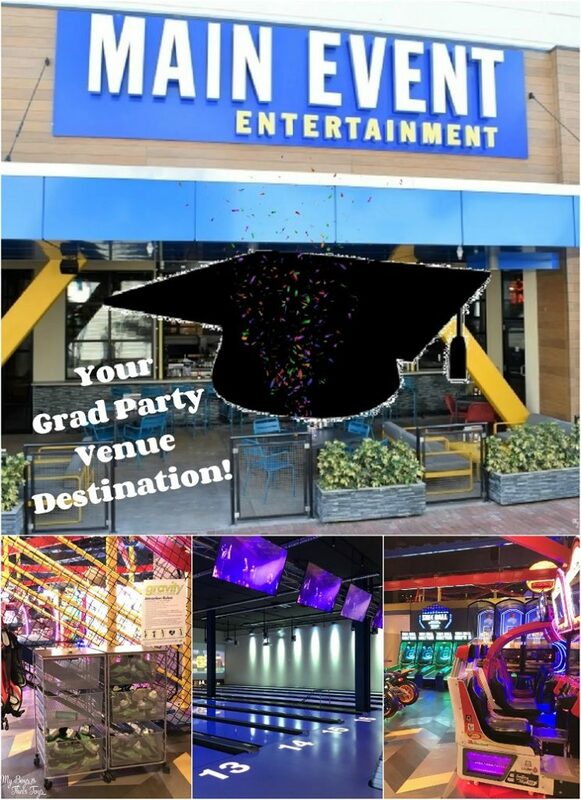 Main Event is your graduation party venue destination! 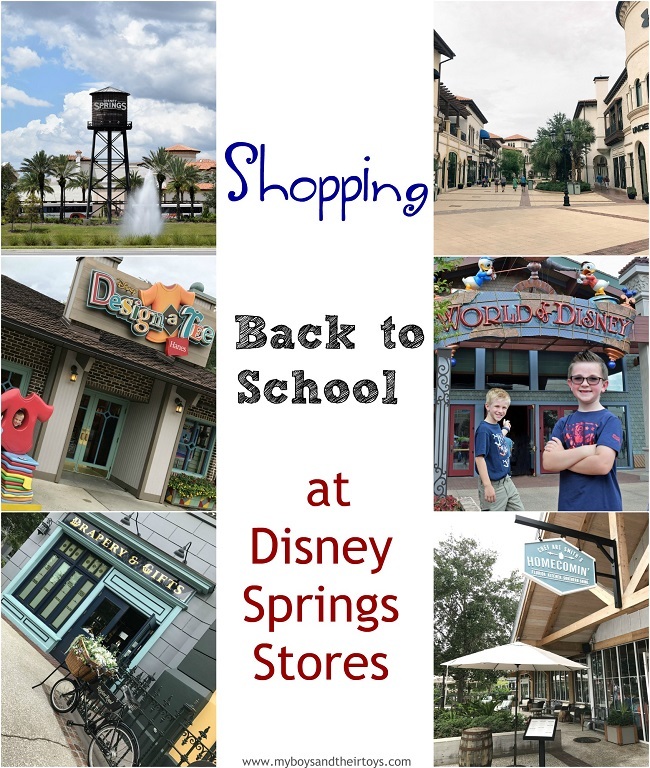 It’s perfect for kids (and adults) of all ages. 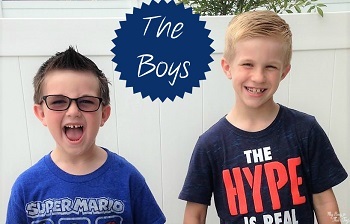 If you’re looking for the best place to host friends and family for your child’s special occasion, Main Event Entertainment has you covered with everything from delicious food to family fun. We recently hosted our fifth-grade graduation party at the Orlando location and couldn’t be happier with the turnout. Not in Orlando? No worries – Main Event has several other locations. 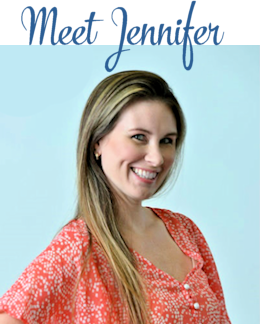 Read on for more details on why this is the perfect grad party venue. 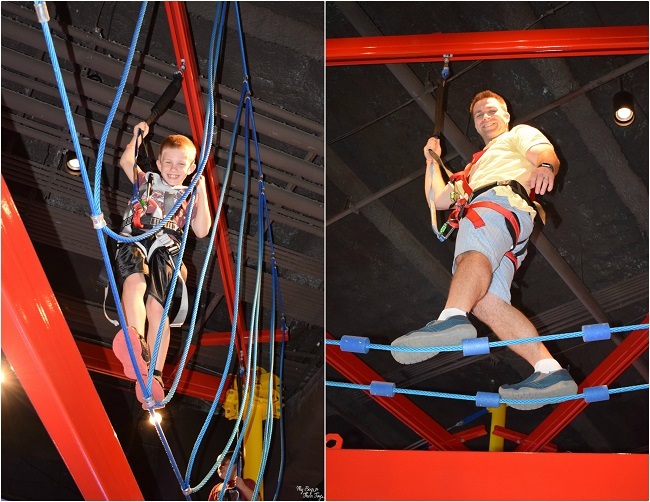 Main Event Entertainment is 45,000 square feet of endless fun! 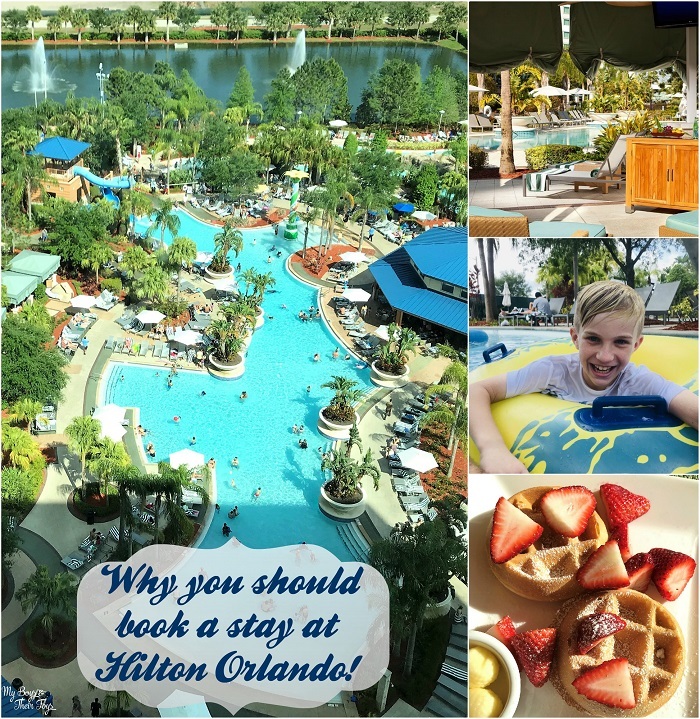 The Orlando location is conveniently located in the heart of the tourist district. The covered garage offers plenty of parking and you won’t have to worry about clean up either. 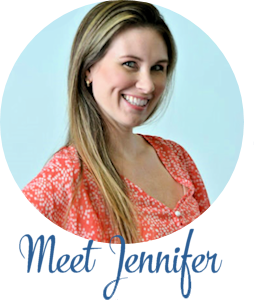 No dirty dishes to clean, floors to vacuum, or any other dreaded chores you typically do at home. Just pure fun! 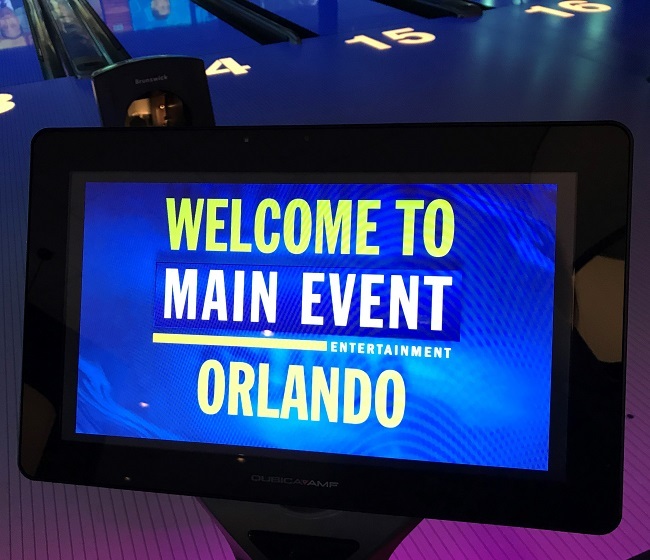 If you’re not in Orlando, Main Event Entertainment has locations in Phoenix, Denver, Delaware, Jacksonville, Atlanta, Chicago, Indianapolis, Kansas City, Louisville, and Baltimore to name a few. 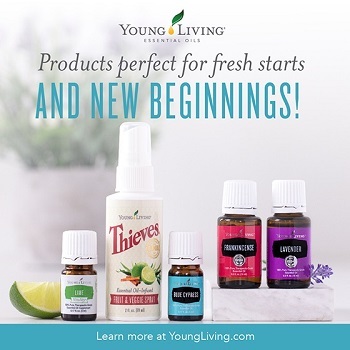 Check out their website to find a location near you. Watch my video below for a quick tour of Main Event in Orlando! Party Packages come in a variety of choices and prices, so you pick and choose the entertainment that best suits your guests and budget. We selected the bowl and games package for the elementary graduation party which included bowling, shoes, and socks (if needed), a $10 FUNcard for the arcade, 2 slices of pizza and unlimited drinks. 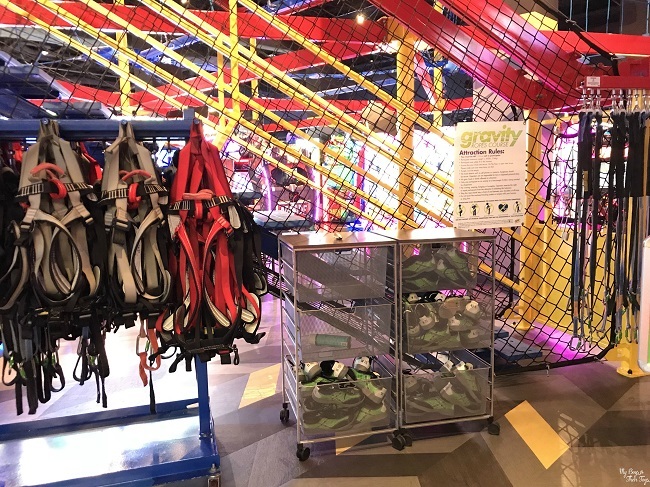 You can add the gravity ropes course for a few dollars more or choose another package completely. It’s up to you! 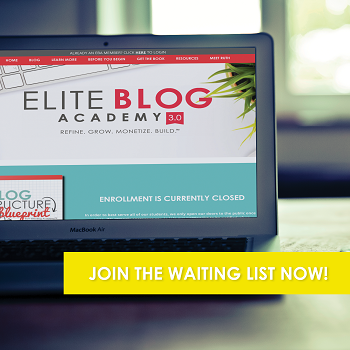 I highly recommend booking a weekday party so you and your guests can enjoy Main Event with less of a crowd. 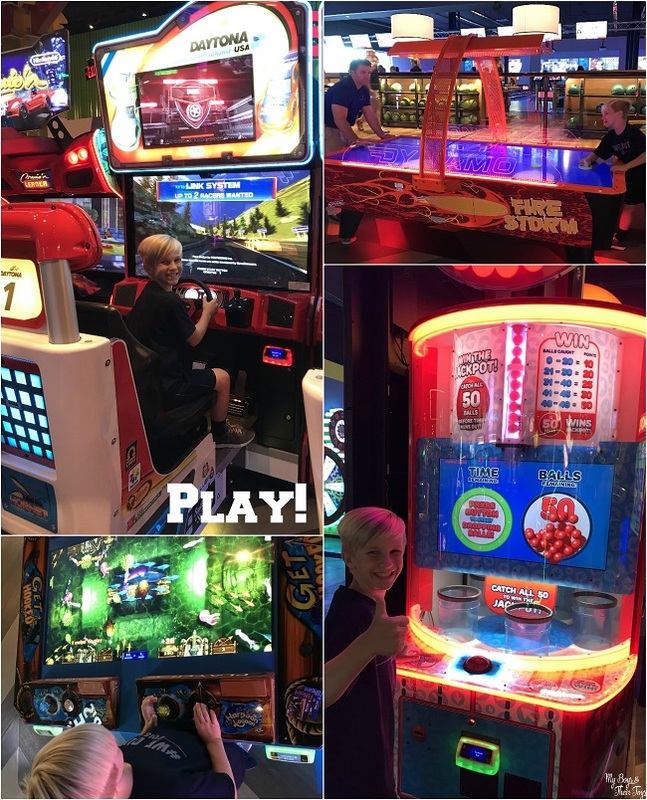 Each location has more than 100 virtual, interactive games in their arcade! 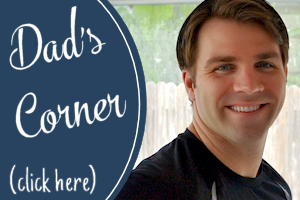 A few favorites include Galaga, Wizard of Oz, NBA Basketball, Motorcross, Star Wars Battle Pod and Candy Crush Saga! Many of the games load tickets onto your card after playing and later you can turn those in for prizes. If you’re looking for the best bang for your buck, I recommend the Wizard of Oz game. In addition to all the amazing entertainment to choose from, Main Event has a full bar and a variety of chef-inspired dishes. Choose from dishes like grilled salmon to fish and chips, grilled tacos, salads, burgers and more! 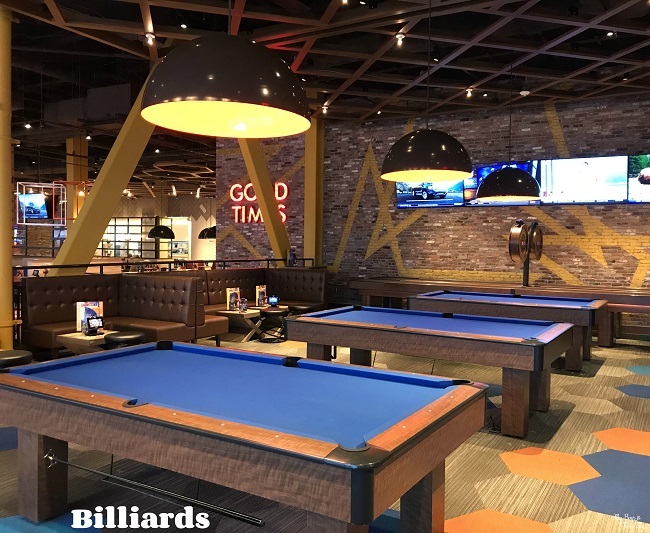 Guests can enjoy a few rounds of pool in their billiard room just off the main dining area. Additionally, Main Event has more than 50 big-screen TV’s. There’s literally something for everyone, no matter the age! 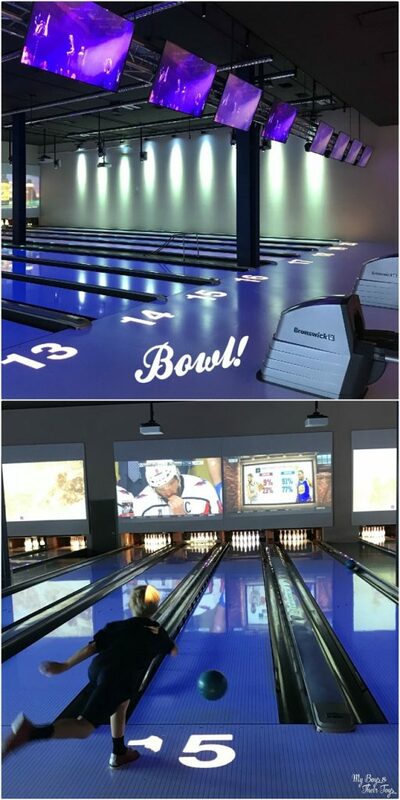 The Orlando location has 20 bowling lanes with multicolored LED lighting, TV’s, music, and more! As you saw in my video tour above, they also offer V Play Reality: Powered by Zero Latency. Choose from three 15 minute games including Engineerium, Zombie Survival, or Singularity. 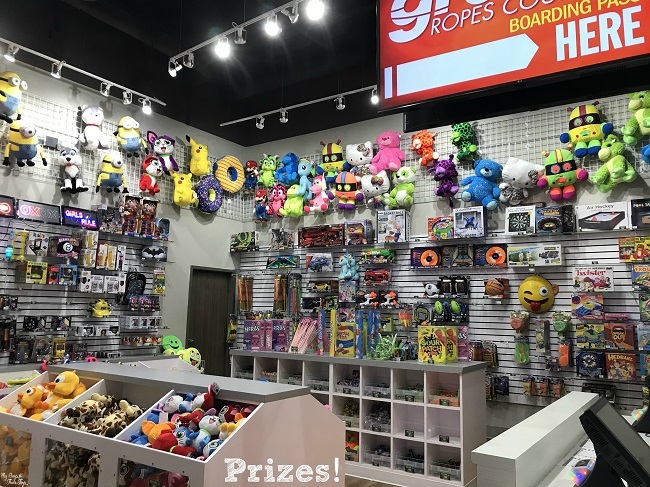 Wrap up your party in the prize zone with everything from plushes and candy to technology and games! And that’s why Main Event is the perfect graduation party venue! Check out their website to book a party, reserve a lane and play all day!